As a Social Worker, I work with families who are or have been homeless and are living in poverty. People often ask me how they can help. Some also ask about the lives of the families. They don’t understand how they got into the situation, and why they make choices that keep them in the cycle. The majority of the families that I work with have been living in poverty their entire life, and are in what is called generational poverty. A person or family living in poverty, may not have all of these factors, but they will have many of them. Does that mean that the person is doomed to poverty for their entire life??? Absolutely NOT!!! However, if they do not actively and purposefully make changes in their life they will. The first step to ANY change is acknowledgment of the problem. Then create and execute a plan for change. We see the effects of poverty all around us. So many people look at it and shake their heads in disgust. Judgement is common. They do not understand how it happens. They look at it as a “choice.” People also often assume that what they “know” about life, everyone knows. They look at the behaviors and judge based on that, not understanding what caused the behaviors. They also do not understand that certain behaviors may not be looked upon as “negative” to a certain group. Let’s take driving without a valid driver’s license for example. The people I know who live a middle-class lifestyle cannot fathom driving without a license. A woman I know literally “clutched her pearls” when the topic of driving without a license came up. She said she could not even think of driving without a license. This was a person who is African American, lives in Detroit, and had jobs at places that work with the community. So, if she does not understand, Lord help us with outsiders! 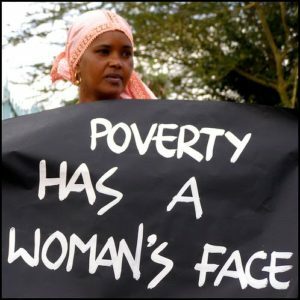 However, a lot of the ladies I work with who are living in poverty drive without a license; it is common place. They do not even look at it as doing something “wrong,” or as “illegal.” They are doing what they have to do to survive. A person may say if you don’t have a license, take the bus. Well, let’s look at that situation for a minute. Let’s take a single mother with 4 children. She works full time and her children attend 3 different daycares and schools because of their ages. Her shift at work is 9:00 a.m. to 5:00 p.m. In order to take all of the children to daycare, school, and get to her job on time, she has to be at the bus stop at 5:00 a.m. Add to that an unreliable bus system, and all of the people she may encounter standing at a bus stop. 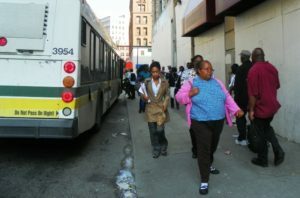 Then after a long day’s work, she gets back on the bus and goes to pick up her children from 3 different locations, which takes about 3 hours. That puts her at 8:00 p.m. by the time she gets the last child. We are assuming the schools and daycare are open this late! As a mother, I can tell you that most are not. So, now when she’s late, she has to pay late fees at the least, or have them call child protective services at the most. Oh, and don’t forget the elements, if its summer she’s standing in the hot sun, or if its winter standing in freezing cold rain and snow; with her young children. All of this on a daily basis. I’m sorry, but that is enough to break even the strongest person. So, getting behind the wheel and risking driving with no license to get around safely, warmly, and conveniently in an hour is understandable. You may ask why they do not simply get a driver’s license. The most common reason is because of tickets. Thousands of dollars’ worth of tickets. The original ticket may have been $100, and is now $500 because of fees and penalties. This several times over often totals in the thousands. 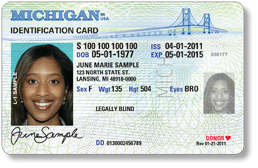 The idea of simply going out and renewing your driver’s license, is not “simple” at all! Most of my blog posts are directed towards the person with the problem. Providing motivation and practical tips for overcoming life’s challenges. Today, it is directed towards the observers. If you have observed people who are living a life with the factors listed above, this is for you. Many people want to help, but they do not know how. Should they say something? Should they do something? Say a kind word. Love and kindness goes a long way. Instead of giving a disgusted look, try smiling and saying something kind. Basically, try showing compassion instead of disgust. Give some positive advice. This is only if it is appropriate at the time. If you see a young woman who is carrying herself in a manner that is unbecoming, talk to her, instead of judging her. Donate money to a charity, or an organization that is working with the community. If there is a particular problem in the community that concerns you, find an organization that is addressing it and donate to them. Donate your time. I work at a homeless shelter in Detroit, and our volunteers are just as important as our paid staff. Volunteers come into the shelter and cook, serve food, bring games, arts, and crafts and host family time, take pictures and give them to the families, share their own story to encourage and motivate them, bring gifts for the families, have religious services, and many other amazing displays of love. Find an organization that is serving the community and volunteer your time to help. I know this seems simple, but prayer is one of the most powerful tools we have. When you see someone having a rough time, instead of judging them, pray for them. They may not be in a frame of mind where they can pray for themselves. Until their strength and faith is built up, they may need you to pray on their behalf. Offer your help. If you have a family member who is struggling to finish school, offer them a ride, offer to watch their kids while they study, offer to buy their books one semester. Offer solutions instead of critiques. Be a good example. Most of the ladies I work with at the shelter did not have good examples in their life. They haven’t seen a woman acquire higher education, or go to work every day, or have a successful career, or have a happy marriage. Try being a role model and showing them how to speak, walk, talk, behave, etc. You can show them better than you can tell them. Invite people to your church. At the end of the day, we all need God, He is the answer. So, if you go to a good church, invite someone who you know is facing challenges. A simple invite can go a long way. Research the problem. Judgment, racism, discrimination, and the like is oftentimes rooted in ignorance. Ignorance is a lack of knowledge. There is so much more to homelessness than what most people attribute to substance abuse and laziness. Pick up a book, google, talk to a professional. Learn more about a problem instead of just judging it. The answer to ALL things is Love. If you have a loving heart, you will be more effective in all of your endeavors, including helping those in need. Hopefully this will help someone to help someone else. Let’s create a new cycle. Instead of the cycle of poverty, we can operate in the cycle of Love. That’s how you can help. If we do not help each other, who will?